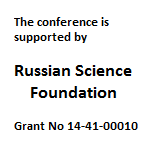 The conference will take place from August 6 till August 11, 2018 at the Euler International Mathematical Institute (St.Petersburg, Russia). Important. 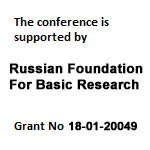 If you intend to take part in the conference, we kindly ask you to fill in the registration form at http://gauss40.pdmi.ras.ru/ma27/index.php?page=reg urgently. Please specify the title of your talk in your form. A preliminary version of the program will be composed by the end of February.